Hi crafters! Welcome Mr. and Mrs. and new die from Tutti Designs - April release. A perfect centerpiece die for weddings, anniversary's, engagements you name it. 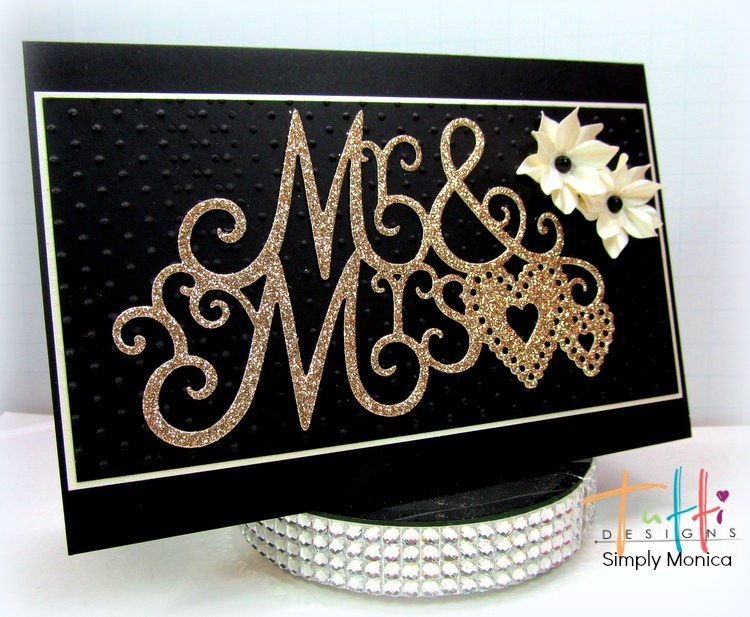 I embossed the black cardstock with mini dots embossing folder and matted it over some paper from Cutcardstock. I then made some mini flowers using a punch ha I totally forgot I had so many Punch Bunch punches laying around - time to break them out again!